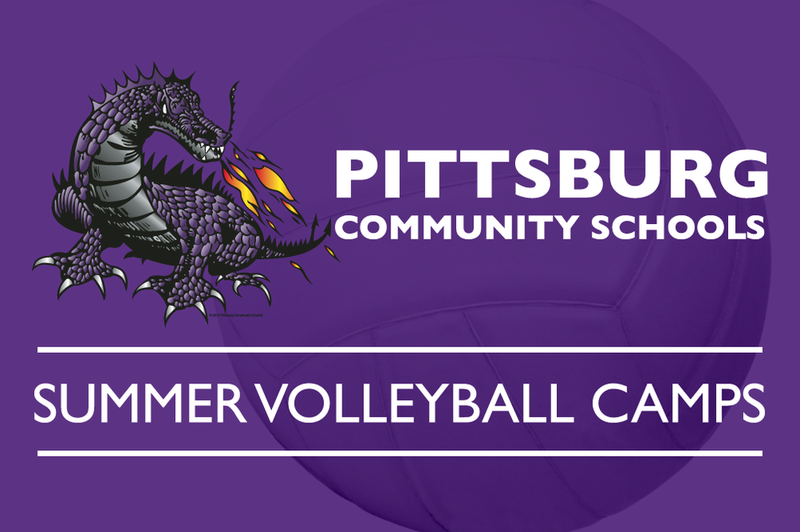 Registration for Pittsburg Dragon Volleyball Camps is now open. The camps are hosted by PHS Head Volleyball Coach Megan Mantooth, Assistant Coaches Bridgett Lancaster, and Amber Qualls; PCMS Coaches Kelsey Boulware, Staci Hunt, Kara Jeck, and Beth Cerne. Camp costs include a t-shirt (if registered before camp), camp insurance, and instruction from PHS & PCMS coaches & PHS athletes. Click here to download and complete the registration form. For further information, please contact Coach Mantooth a mmantooth@usd250.org.